Category covers everything electronic manufacturing space with special focus on their activities in healthcare space. A year ago, few people would have associated contract manufacturing with southwestern China, which is far removed from the production centers of China’s coastal cities. But today, anyone paying attention to the notebook industry has learned that the city of Chongqing in southwestern China will soon become a major base for contract manufacturing of notebooks. Hon Hai Precision Industry and two of the four largest notebook ODMs have all decided to locate notebook manufacturing operations in Chongqing, and it has been reported that Hon Hai’s PC factory is already being staffed. But notebooks won’t be the only contract manufactured products in Chongqing, and Chongqing won’t be the only city attracting outsourced manufacturing in southwestern China. And for good reason. Compared with coastal cities, labor and other costs are lower in southwestern China, and its labor supply is more plentiful. Before Hon Hai and the ODMs committed to Chongqing, there was HP, which in 2008 announced plans for a Chongqing plant to produce notebooks and desktop PCs for customers in China. Then in the fall of last year, news broke that Hon Hai began construction of a notebook manufacturing facility in Chongqing (Oct. 2009, p. 4). In the notebook ODM space, Hon Hai is a relative newcomer, and two of the first-tier notebook ODMs soon made it known that Hon Hai would not be without competition in Chongqing. As healthcare industry moves towards connected healthcare, which means companies would now have to procure plastics, electronics as a combo, making supply chain of buyers more complex than ever. In times like these, Molex, a connected healthcare pioneer surfaces as an ideal strategic partner. Thanks to its recent acquisition of Phillips Medisize that makes it a go to guy for all healthcare sourcing requirements. Phillips Medisize has been one of best medtech focused CMO , taking a lead position in many segments like drug delivery, connected healthcare and diagnostics solutions. Molex-Phillips Medisize deal closed recently and has become a major milestone for medtech contract manufacturing operations. Medtech OEMs could now breathe a sigh of relief as lot of their strategic operations could be outsourced to Molex. Molex-Phillips Medisize acquisition just goes about highlighting a key trend in the industry, which is, cross services acquisition. Services consolidation has begun and there will be a likely increase in deal counts of similar kind. A deal that shares a similar resemblance as that of Molex-Phillips is Jabil-Nypro. Phillips Medisize had previously acquired Injectronics and Medicom, both acquisitions were done in very short duration gap. Finally Phillips acquisition spree was paused, that was because Molex acquired Phillips. IBM’s Watson did not just do that? Wearable industry growth figures are at top of the charts. Every fortnight wearable start-ups are either closing funding rounds , or been acquired and in some cases hosting IPO. All this limelight and fame for one reason, that being , these devices can record data. Analysis of data and subsequent predictions to users still remains work in progress. IBM’s Watson however, is set on a mission to accomplish this work in progress. Yes, company recently announced collaboration with mobile phone behemoth Apple , where the former would integrate its smart computer to latter’s wearable ( watch). This all magic takes place in app called Cafewell Concierge, which is powered by Watson’s adaptable and self learning code. Partnership of this type came to limelight only recently and has been IBM Watson’s first of its kind deal with Apple. This Welltok developed app uses Watson’s cognitive trait to turn Cafewell Concierge more understanding companion by days , primarily because Watson learns, adapts and performs. Combo can become one stop solution for health , exercise, nutrition and other aspect of human life management. Unlike any other wearable which puts the recorded data usage and analysis to question, situation in this case seems pretty convincing. Primarily because data recorded is going in training predictive response programing of Watson. 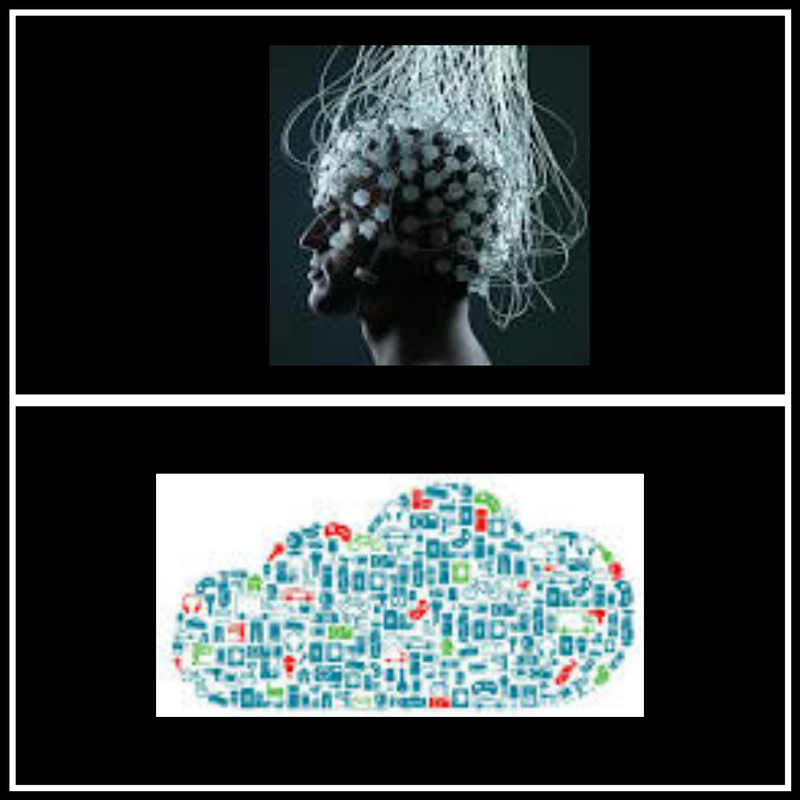 While some of the existing wearable providers,quote to deliver the similar offerings, we all are aware about how deceiving can the cloud and app analysis be(Not to forget the blurred line that exist on when a app is FDA regulated and when its not). Watson super computer on other hand has proved instrumental time and again proving its credibility in this new venture. 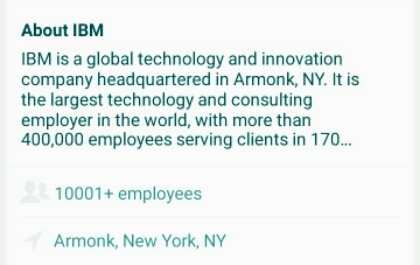 Time alone would say if this IBM- Apple journey sees happy and productive ending, as of now the platform is warming up to IBM employees alone. The employees who had privilege to buy Apple smart watch at subsidized rates. Mobile phones/smart devices and associated apps have been making tremendous impact in peoples life in last couple of years. These developments have surfaced up as a mass success element off late, mainly because their integration with IOT, an element which is helping them explore new avenues. 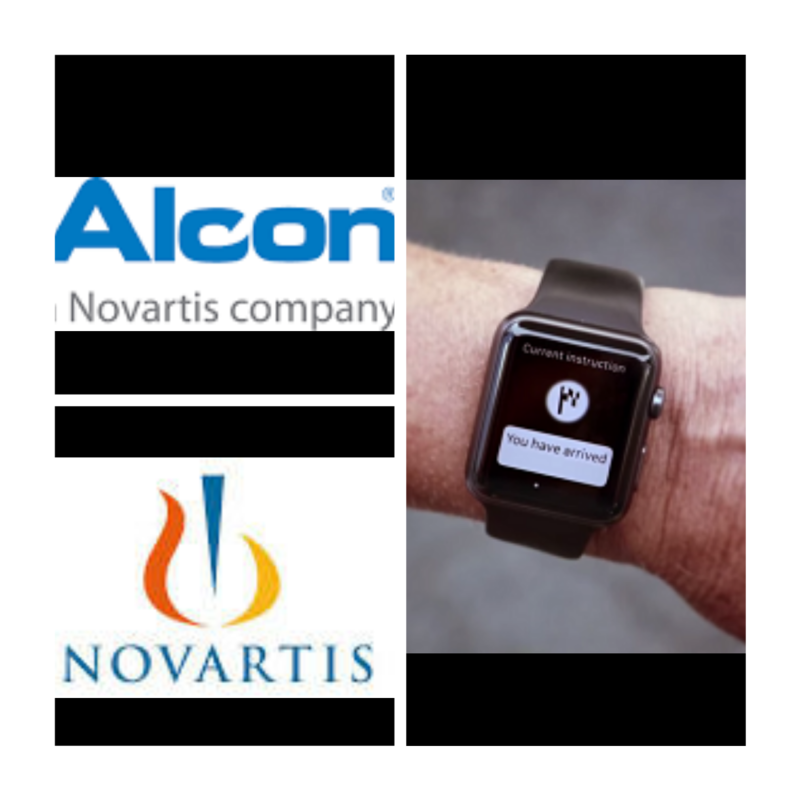 Novartis, pharma giant has tapped into one of those avenue through its recent relaunched vision app. Vision app, ViaOpta was originally launched in 2014 for assisting visually impaired. Assistance modes are generally vibration or voice guidance. While aforementioned was features in 2014 version, the current development is for smart watches from the likes of Apple and other watch manufacturers. App also gives more realtime notifications by using smartphone cameras to indicate image in purview. New venture of Novartis is more to soothe its innovation appetite. 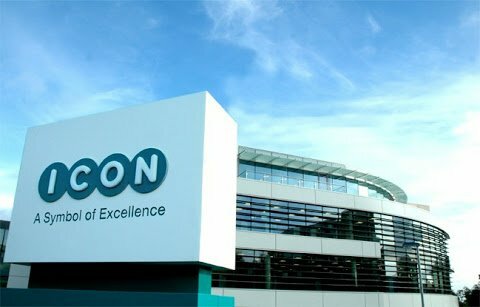 Furthermore it also complements it’s USD 10.4 billion Alcon business. Overall smart devices and their integration with IOT are spinning solutions that have been simplifying healthcare and making patients life much better around the world. Think of an era where you can control a machine through your brain!!!!! Researchers from Switzerland’s Defitech foundation chair in brain machine, have developed technology platform that can help you control computers through brain. Device has been trial and tested on 19 subjects with disabilities, and each one of them has shown tremendous control on machine application which is guided by brain signals. Surprisingly, the task of field training that each of the subject took was around 10 days. Credit mainly to be given to the amazing brain machine interface, which did the entire trick. Subjects were able to control machine sitting far far away in Germany and Italy. Science media regards this as technological breakthrough which can help disabled people view the world through machine’s eye, and travel areas that they initially thought was beyond their reach. Rightly said ” Necessity is mother of invention “, & IOT holds key to many such advancements.